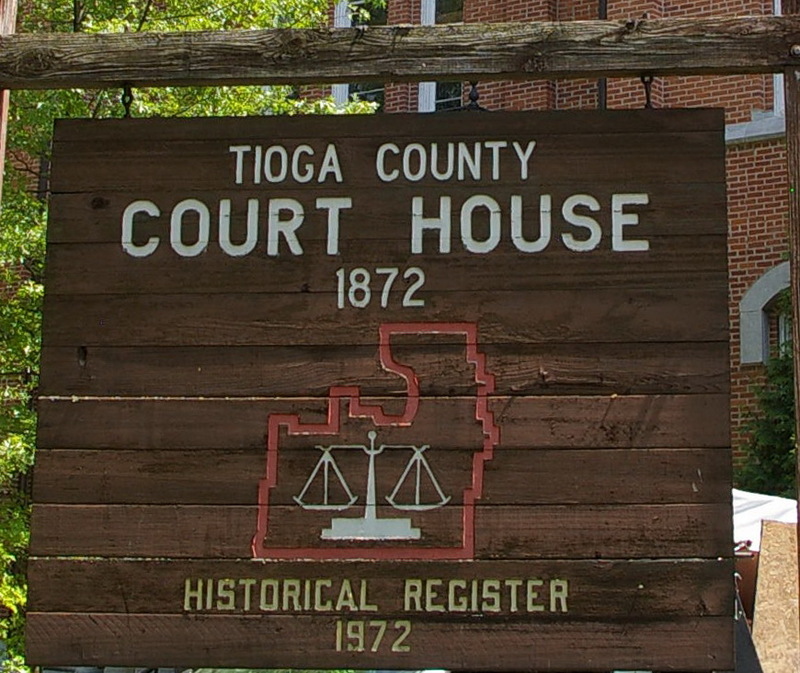 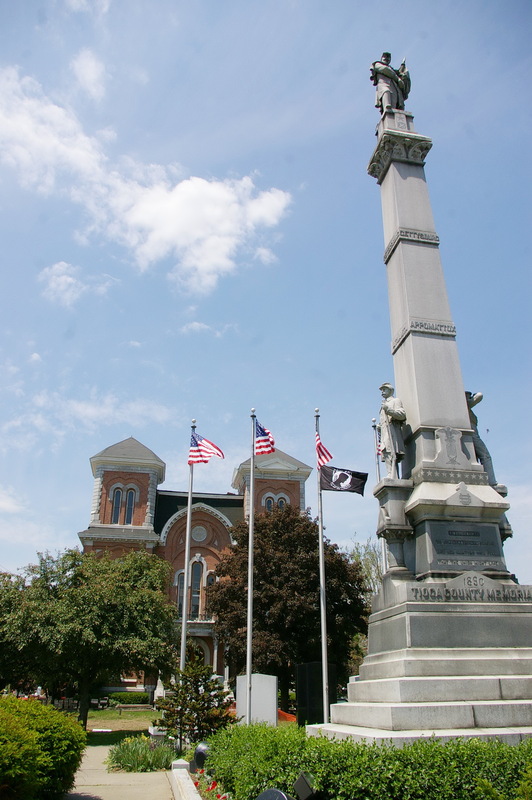 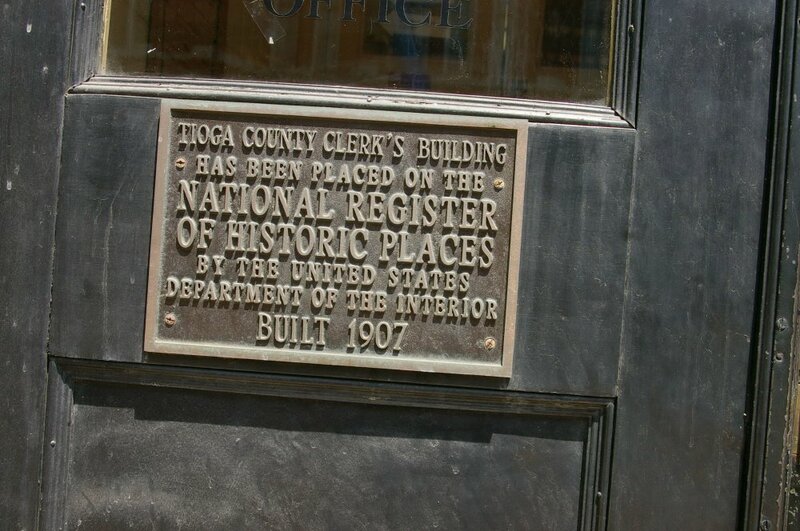 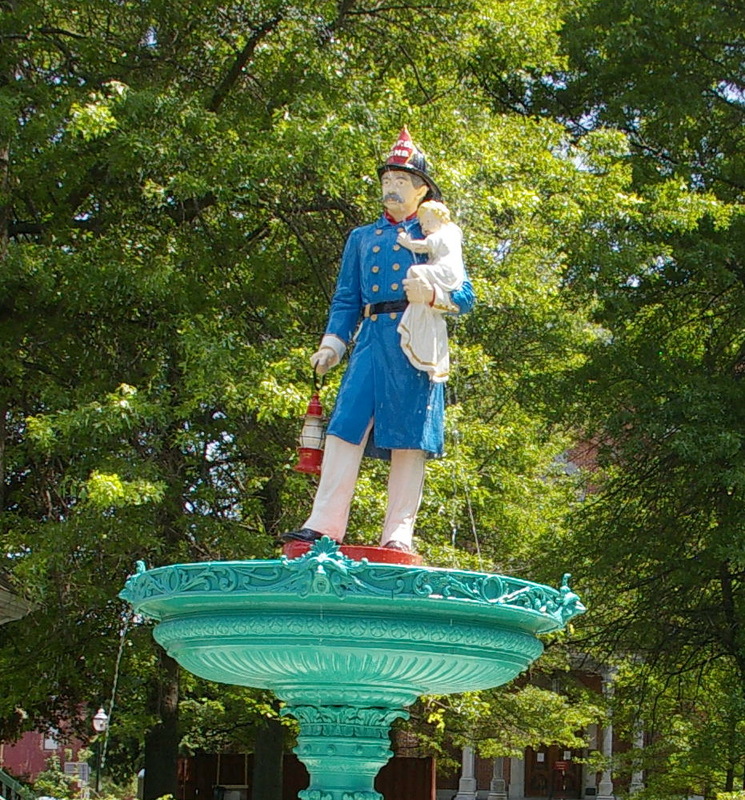 Tioga County is named for a Native American word meaning “at the forks” which describes a meeting place. Description: The building faces south and is a two story light red colored brick structure. 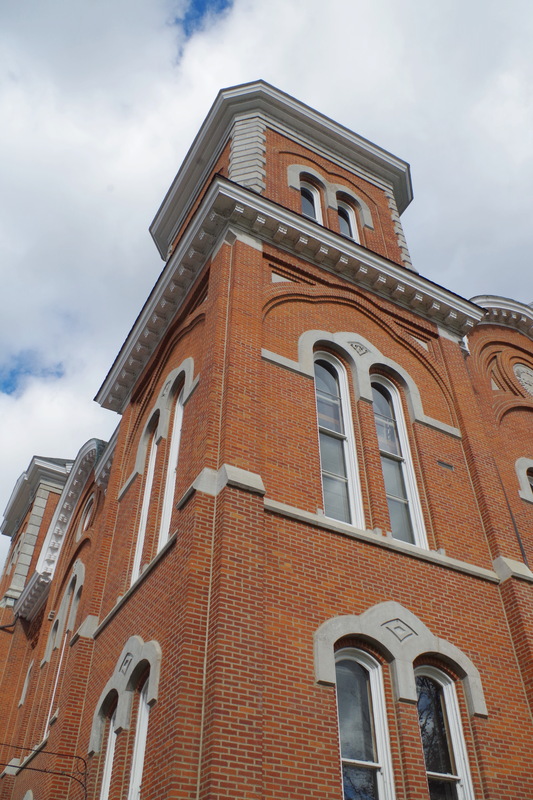 On each corner of the building are three story square brick towers which rise ninety-two feet. 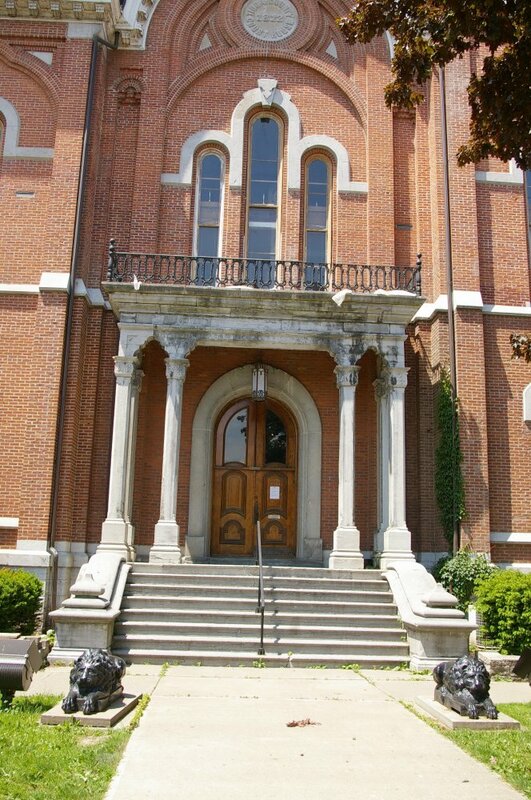 At the south front, there is a small portico supported by four thin columns with balcony above. 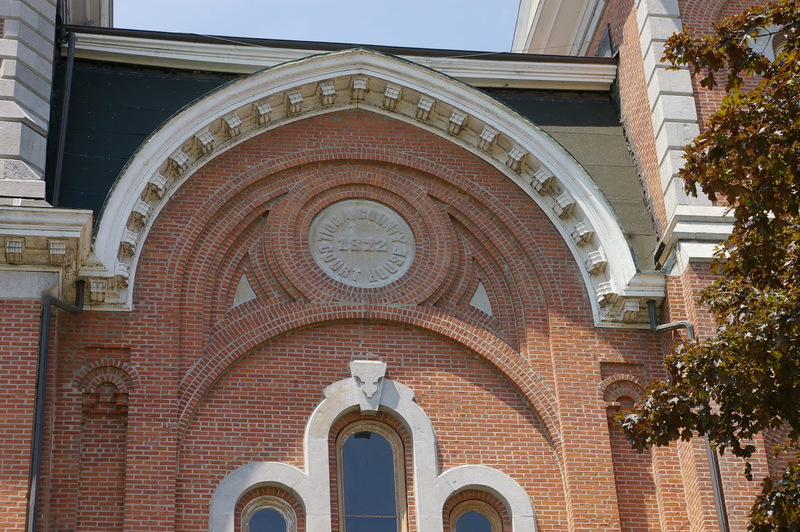 On the second story, are three arched windows with arch at the roof line. 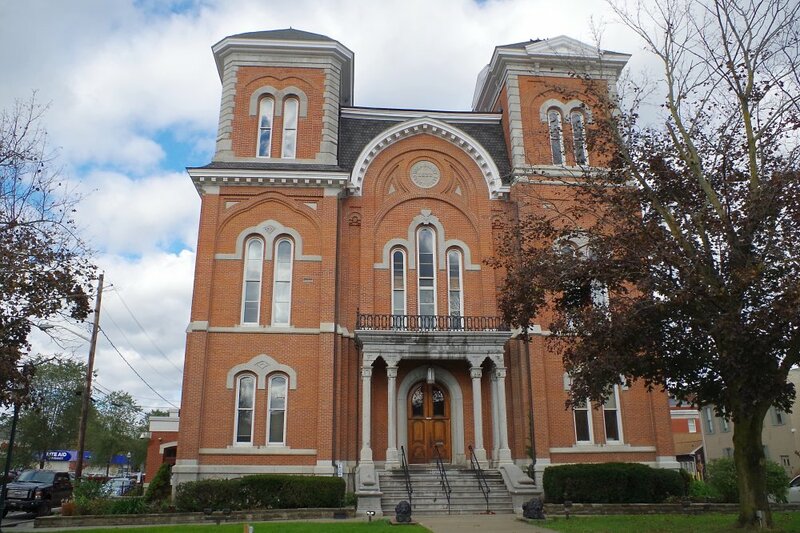 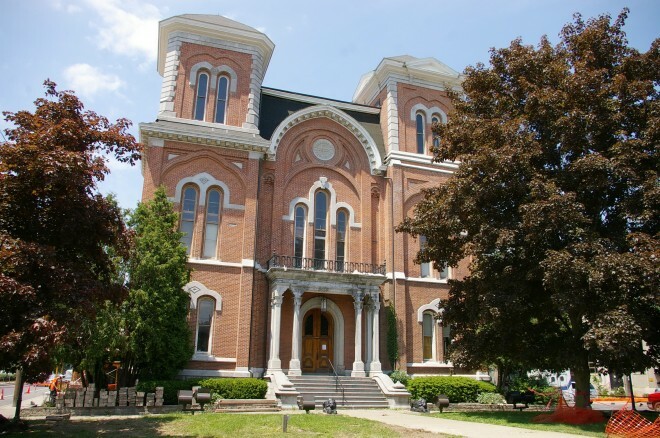 Note: In 1810 a courthouse was built by Andrew Purdy in Spencer. 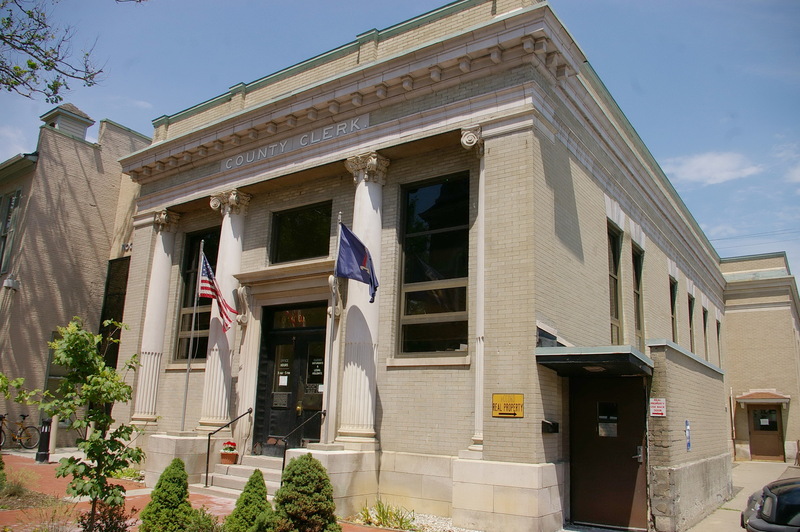 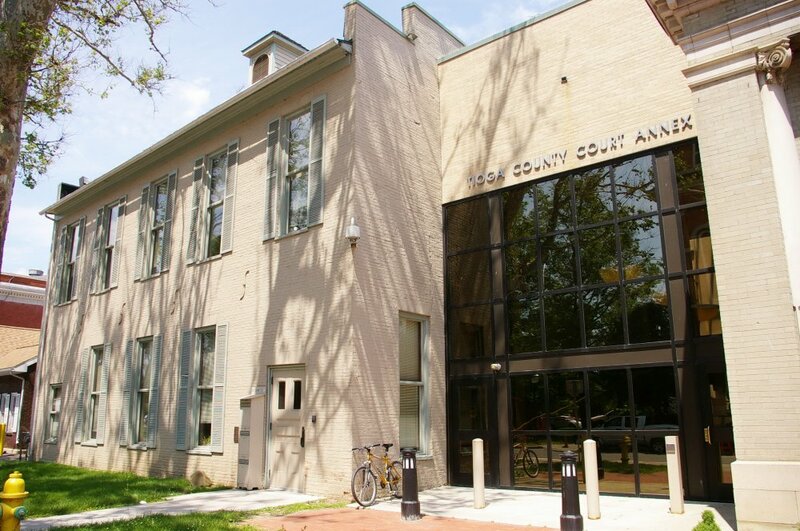 The next courthouse was built in 1823. 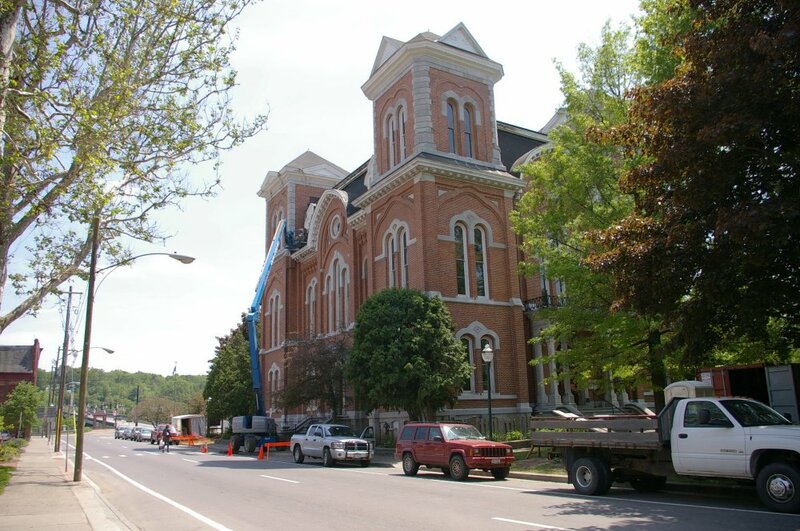 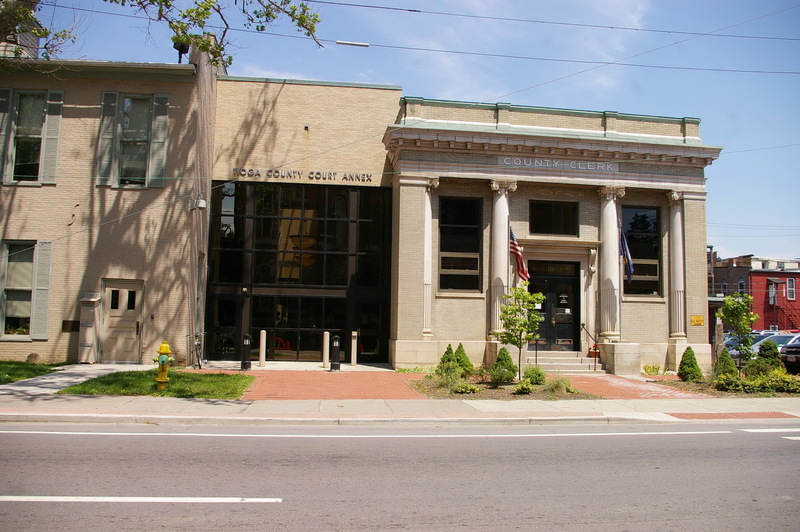 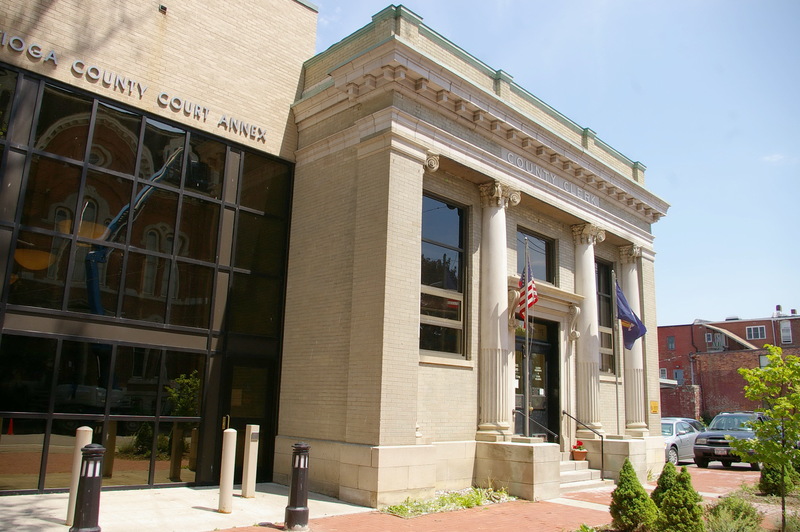 The cost of construction of the present courthouse was $69,225. Description: The building faces west and is a one story building.